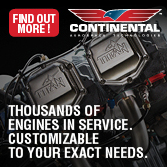 Searey Kit Aircraft Gets More Push… Simply! Could Light-Sport Aircraft, light kit aircraft, and even ultralights benefit from in-flight adjustable propellers? After more testing and data collection answering that question should be easier. 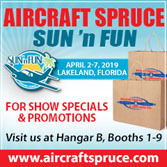 Prominently displayed in front of the Rotax Aircraft Engines exhibit at Sun ‘n Fun — right at the main entrance to the large spring show — was a strikingly-painted Searey kit-built aircraft (photo). Why? 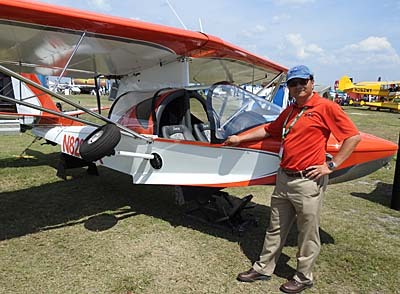 The mission was to showcase how a Rotax-powered amphibian aircraft can get more push… without complexity. 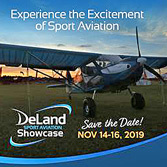 Named Searey ATD, Advanced Technology Demonstrator, the collaborators include Progressive Aerodyne, producer of the Searey, Rotax Aircraft Engines, and MT Propeller, all coordinated by key developer, RS Aerotech of Nassau, Bahamas. Searey ATD “will be used for long-time testing of new engines, propellers, and electronic systems.” To serve this goal, Searey ATD has been equipped with a state-of-the-art flight data acquisition and reporting system, which combines engine data with aircraft and navigation data.” Called a “first time” accomplishment, Searey ATD can “automatically transmit its engine and aircraft data via LTE networks worldwide.” The data “will be used by Rotax to perform engine health monitoring” similar to what airlines do globally. Progressive Aerodyne owner Adam Yank poses beside his Searey Elite at Sun ‘n Fun. His company could benefit from the work achieved by RS Aerotech. In simpler language, such data reporting could allow Rotax to alert you that your engine is developing a problem so you can seek a remedy. RS Aerotech is coordinating flight test activities using the Searey ATD, which operates the aircraft from its home field. 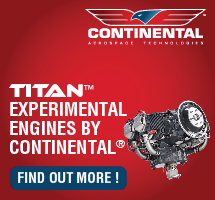 RS provides flight test plans, data reduction and analysis. The Searey ATD seen at Sun ‘n Fun had a Rotax 912iS fuel-injected engine that is festooned with sensors. It swings a MTV-34 prop controlled by a MT-853-12 prop governor. 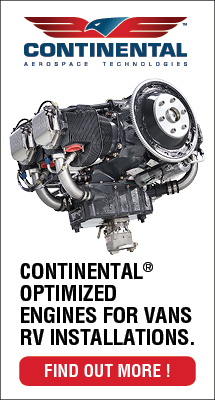 Joining the 912iS’s Engine Management Unit helps RS Aerotech output the data so desired for testing and later evaluation by the collaborators and by FAA. 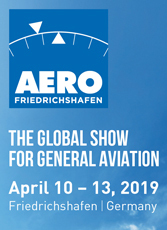 RS Aerotech said the 912iS will be replaced with the new 915iS “immediately after Sun ‘n Fun.” Rotax’s new 135-horsepower engine made a few appearances at Aero in Germany last week and is presently undergoing testing by airframe manufacturers and others. 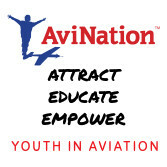 Alert readers will recognize that in-flight adjustable props are not permitted on Light-Sport Aircraft according to U.S. LSA regulations. However, further opportunities may exist. For example, after some effort by persistent vendors, motorglider LSA were finally allowed to have full-feathering props to aid their engine-off glide ratio. They achieved this by having simple, fail-safe systems that asked little of the pilot, adhering to the spirit of the SP/LSA regulation. Therefore it is within the realm of possibility that an in-flight adjustable prop could be allowed on Special LSA — perhaps via exemption — if discussions with FAA on the matter prove fruitful. No official request has been made at this time, but LAMA promised to at least introduce the idea during its regular meetings with FAA. Why would the agency agree? 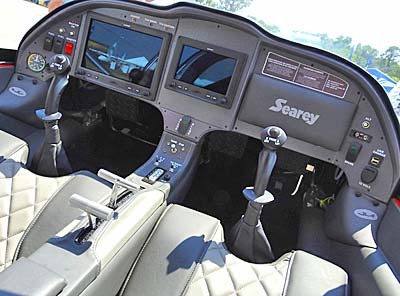 Searey Elite features a modern glass instrument panel. The SLSA model might one day offer an adjustable pitch prop; experimental models could offer it even sooner, if builder/customers wish. Constant speed props in certified GA aircraft are complex, indeed, it is part of the official language. 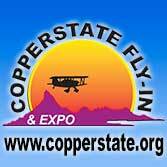 “Complex” implies retractable landing gear and constant speed props. Each demands more of the pilot, however, such equipment is being obsoleted by newer technology. 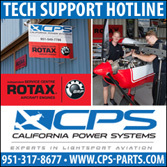 In our present age of computer controls — like those on a Rotax 912iS or 915iS — it is possible to have a much simpler system that reduced pilot workload. In fact, it already exists. Cirrus uses single-lever control on their certified SR-series. 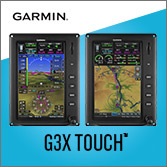 That system employs FADEC, or Full Authority Digital Engine Control. 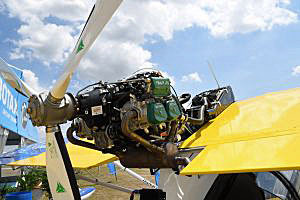 One person said, “FADEC is more aware than the average human pilot of the optimum power settings for the engine; it will do a much better job than the human pilot.” Somewhat similarly a Rotax 912iS offers Lane A and B system that the pilot checks before takeoff. I’ve long thought those were unnecessary. By the time I do my Lane A/B checks, the on-engine computer has already done the check hundreds, perhaps thousands of times. It seems to me to be a holdover from the days of doing magneto checks. While RS Aerotech uses their Searey ATD to collect valuable data, organizations like LAMA can approach authorities with a suggestion to study this idea. The truth is that an automatically adjusted prop could make a LSA or light kit aircraft perform significantly better without adding complexity. You could have takeoff pitch to get you off the water or out of a short airstrip faster yet also have higher-speed cruise at reduced power settings. Those seem worthy goals.